Tata Tiago JTP, the company’s smallest car is all set to launch this festive season. The Maruti Swift RS will to come to Indian markets soon and here we have a brief comparison to let you choose the best among these two. The Maruti Swift RS has 1.0-litre three-cylinder turbocharged petrol engine that produces max power of 100 bhp with 150 nm torque. For the Tata Tiago JTP, it will have 1.2-litre three-cylinder turbocharged petrol engine with producing 108.5 bhp of power with 170 nm of torque. Here the JTP looks like a better option to go for. Both the models will offer much higher power and torque outputs than their respective models launched earlier. On the performance part, the Tata Tiago will sure win as it has higher engine power with torque making it the first choice. But it also needs to be noticed that the Swift is 75 kg less in weight than the Tata. The Tata on the other hand will have a lower ride height and a stiffer suspension than the regular version. The Maruti Swift RS gives 21 kmpl mileage while the JTP just has 17.6 kmpl. Here clearly the Swift has an added advantage. The Maruti Swift RS will look sportier than the Tiago JTP and has a catchier design making it good in exterior looks. The Tata Tiago will gain red accents, sportier bumpers, new alloy wheels, black roof wrap, and JTP badges. On the other hand, the Maruti Swift RS will have a red streak on the front grille, a sporty body kit, and new design alloy wheels. The Tata Tiago JTP is said to be priced around 7 lakh INR and would be cheaper than the Maruti Baleno too. For the Swift RS, it will be priced closer to that of Tata Tiago JTP. The expected prices are given below while the final costing will be known closer to its launch. 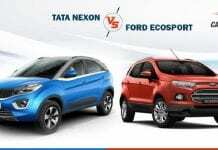 Its clear from above comparison that Tata Tiago JTP will be the winner.